Now I love my Blackberry. To me, it still is one of the best messaging devices out there allowing me to receive instant e-mail, remain signed in on multiple IMs, multi-task and my favourite, the Blackberry Messenger. It is pretty stable, for the most part quite responsive and using it is intuitive. However, the competition is catching up quick and RIM seems to be resting on its laurels while the other big boys are catching up…and fast! The new models of Blackberries still do not address these issues and unless RIM starts doing some drastic revamps in its phone, it may be soon pushed into obsolescence. Perhaps the most unforgivable thing is that some of these problems are very easily rectified. Despite the existence of third party browsers such as Bolt and Opera Mini, most of them lack the integration that BB Browser offers for e.g. Sending page links, opening links automatically with the browser and instant launching making its experience less than satisfactory. However, RIM is rumored to be developing a WebKit based browser which many hope to rectify this problem which frankly has been left outstanding for far too long. Mix and match these options to create a new phone! Furthermore, creating more models confuses consumers and makes developing for Blackberries a nightmare. And as we all know…the very core of smartphones today are its applications and for these we need third party developers (think IPhone). Some examples, remember the 8300, 8310 and 8320? Even the Tour and Javelin aren’t significantly different from each other. And no WIFI on the Storm 1 is simply inexcusable (not to mention how its consumers were basically beta-testers for RIM). Got a new number of an existing contact? Well too bad you have to go through quite a few steps to get it into your list. You have to select the number, copy the contact, browse to the contact you want to add/edit the number to and then paste it in and then save…. Now the media player of Blackberry is quite a recent addition, only coming in the past few years and marked the end of the Blackberry as a purely business device. Its first iteration was workable but had very huge confusing omissions (inability to create playlists anyone?). It now has these features and is a more fully featured media player but there are some huge performance issues. Put in your memory card loaded with your pictures and mp3s and wait while your Blackberry chugs on it for a good 5 minutes or more slowing down performance severely while this happens. This also happens with EVERY reboot and perhaps the most annoying is after unplugging it from Mass Storage Mode from your computer. How can this be acceptable? It can’t be the memory card which loads really fast when accessed via the computer even while in the Blackberry so there’s obviously some flaw in the code. Furthermore, try loading your Pictures and viewing them and what you’re treated to are extremely slow loading thumbnails (think 5 seconds for each thumbnail to load). Now I may have a lot of pictures (several hundred) but if other phones can handle this, why can’t a Blackberry? What’s the point of having the ability to store several gigs of data if they take so long to access? On a side note, video recording on my Bold also tends to go out of sync from video and audio from time to time which I think might be related to the slow access time of Blackberries to a memory card but I may be wrong. Now many Blackberry users will say otherwise, but the Blackberry does require a reset every few days or so (sometimes daily) as it slowly runs out of application memory. Closing other running applications do not seem to help this. Many point to the browser as being one of the culprits causing memory leaks. Considering the reboot process takes about 5 minutes and then add in another 5 minutes for rescanning of your memory card, this is often quite a pain. How I cope with it is rebooting it before I go to sleep, but seriously this is a basic OS issue that needs to be resolved. RIM’s answer to the IPhone Store is App World. In addition to its higher priced apps, less variety it also is only available in several select countries. Malaysia isn’t one of them. Even if setting up payment mechanisms for other countries is difficult, it is inexcusable to leave us out of App World for the free app selections! I want a simple way to check which of my apps need updating and do it from there rather than manually checking from the Blackberry site. Hopefully this will be rectified in time. Tried using Blackberry maps? In short, it’s crap, grab Google Maps instead. One of the great things about the Blackberry is its multi-tasking ability. Even then, closing down unused apps from running in the background is good practice and increases the time needed before you require another reboot. It also saves battery and valuable memory. However, RIM doesn’t make it very easy. Instead of an easy one press button that closes the app, hitting the ESCAPE button only minimizes it. To actually FULLY close it, you will have to go into Menu, Scroll all the way down then hit close. Now do this thousands of times and it quickly gets annoying. Does RIM really want our Blackberries to respond sluggishly? 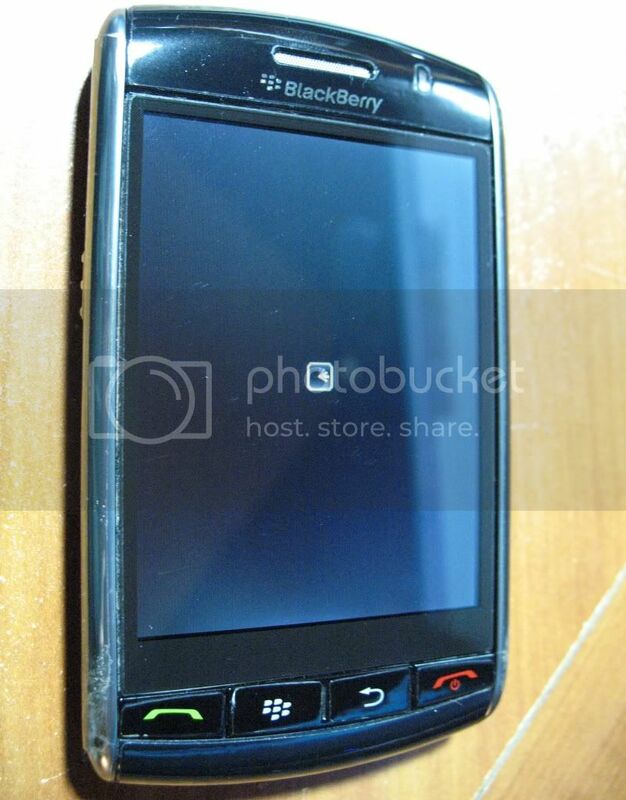 Now OS 5.0 was meant to be a huge leap forward for Blackberries and got many of us excited. Unfortunately it seems to be rather minor in my opinion. Wait..that’s it? :-/ Now I haven’t tried OS 5.0 yet due to its many incompatibilities with my existing set of apps but I’ll leave BGR to give a run down on its major changes. RIM isn’t really known for its transparency. Several outages have happened without any proper announcement from RIM and Blackberry users had to resort to blogs to see if they were the only ones experiencing the problem. First of all, outages on Blackberries should not be tolerated. Being touted as a business device, reliability should be one of the cornerstones of the BB network. Secondly should an outage need to happen, it should be informed in advance or if it was unexpected, at least tell us what’s going on. Thankfully this doesn’t happen too often but is it really so difficult to send out a a short notice telling everyone not to panic? Compare Google’s response to its Gmail outage and see the difference. Now I really want to stay with my Blackberry. The 9700 Bold looks promising but I doubt that the issues above will be solved anytime soon. There’s also one gripe that I have but did not include it in the above list due to its rectification in later models. The trackball that’s an absolute magnet for dirt and grime and is a pain to clean (especially on the Bold and Javelin). Now this has been phased out in RIM’s newer models and is a huge step in the right direction but still leaves me a bit sore in shelling out another RM2k (I THINK) for the 9700 which basically gives an optical trackpad, faster response and a better camera. Too much for too little? One killer app is preventing me from making the switch to any other device right now and that’s the Blackberry Messenger. However should there be only 1 reason in the way of me making a switch away from Blackberries? I am sure many users might think otherwise. The IPhone/Mac snobs strike again. Show me multi tasking and secure e-mail. Currently multi tasking is non existent and the iphone has a joke encryption. Even the ‘PHONE’ part of IPhone is not too great with crappy call quality being the consensus with most reviews. Battery life is also a problem. Great lifestyle device, not so great communication device. I’m not denying it’s an awesome device but too often I get so many snobs thinking it’s the ultimate phone when there are a myriad of issues plaguing the Iphones just as any other smart phone. There’s some hope for BB users yet! I’m using N95 it has a crappy camera other then that I have no complains, so I’ll be sticking to Nokia.